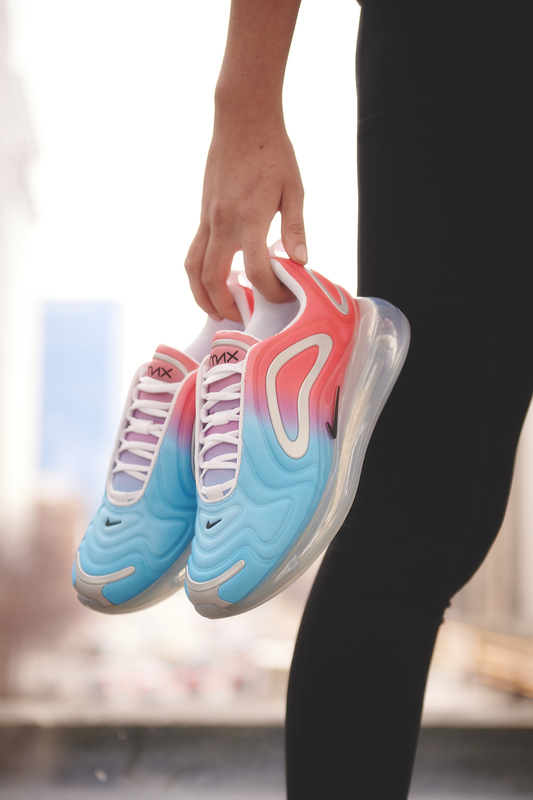 The Air Max 720 is the footwear of choice for this next #NeedItNow collection with Nike. 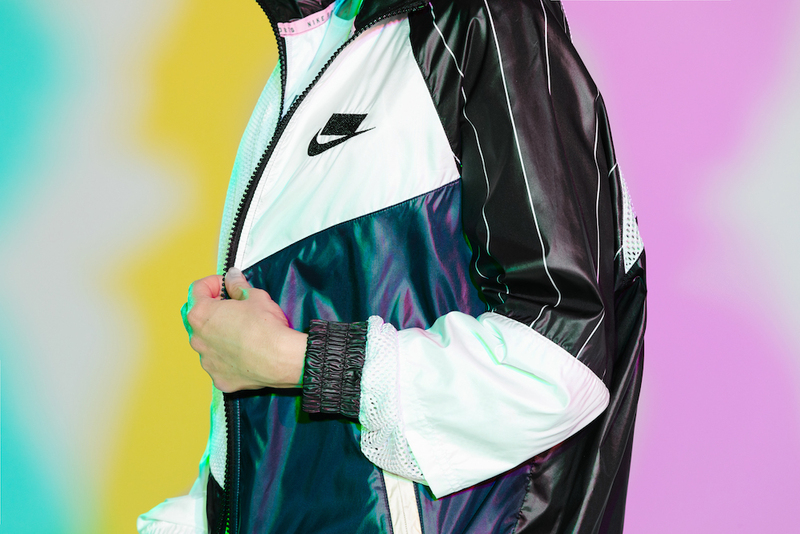 Showing off the matching set of the Nike Sportswear NSW Track Pant and Jacket , the Lava Glow colored Air Max is the pop of color that makes this look standout. Details of this Track Jacket include, a playful design, Chevron front, paisley, stripes and sport panels. Our favorite detail however is the mesh upper on the back of the jacket that allows you to show off a fun, strappy top or sports bra.